Second star on the right, and straight on 'til morning. Follow those directions to Neverland, home of mermaids, indians, pirates, and most importantly, Peter Pan. The Darling children, Wendy, Michael, and John, are left alone one evening in their nursery. 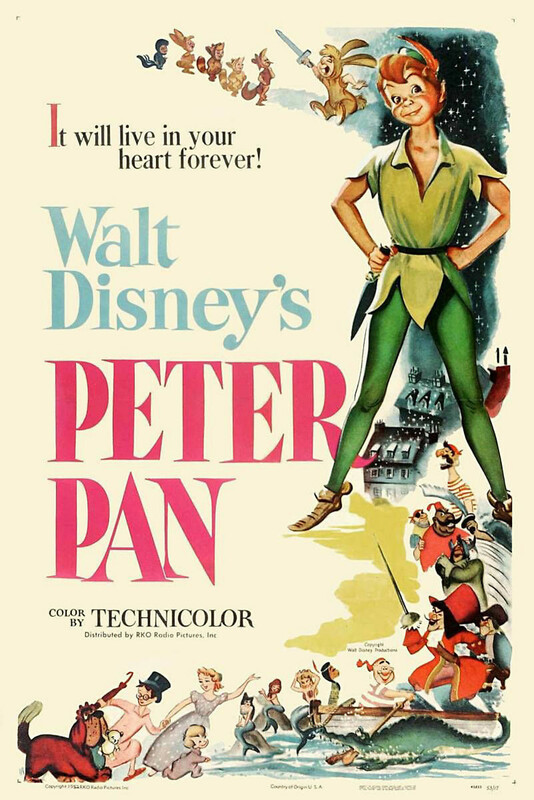 Through the window, they are visited by Peter Pan and his fairy companion, Tinker Bell, who search for Peter's missing shadow, which was lost in the Darling's nursery. They become instant friends, and Peter whisks them away to Neverland. There, the children play with Peter's gang, The Lost Boys, Wendy gets harassed by mermaids, and they are all eventually kidnapped by Peter's arch-enemy, pirate Captain James Hook. After a failed assassination by Hook, Peter returns to rescue the children, and spirits them back to England.